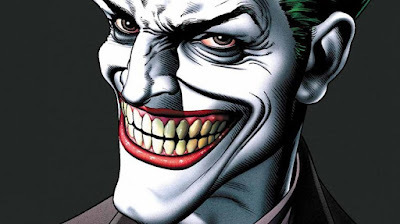 Well, we now have our first look at Todd Phillips' Joker movie, and Joaquin Phoenix in the titular role. But you'll probably not want to do any comparisons to past Jokers, because this look isn't too radical. You won't find any green hair, wild teeth, or face paint; it just looks like Phoenix if he were just an everyday schmoe. As you can see, the caption says "Arthur", which confirms previous rumors of Joker's name before he turned to costumed villainy. We can probably take the rest of that rumor as gospel then, which means the story will center on Arthur Fleck, a regular guy who returns home to care for his once-beautiful mother, Penny, who has become obsessed with her former employer, a guy named Thomas Wayne. Yep, Bruce Wayne's daddy, and the role Alec Baldwin took and quickly discarded a few weeks ago. Zazie Beetz, Robert De Niro, and Bryan Callan are currently on board. Joker is expected to open October 4th 2019 as part of a label separate from the DCEU, so don't expect any crossover with any of the Justice League characters.